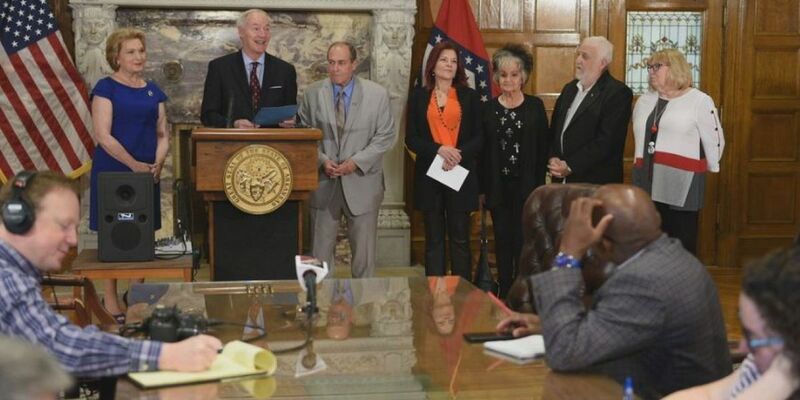 LITTLE ROCK, AR (KAIT) - Arkansas Governor Asa Hutchinson signed a bill Thursday morning that will honor two people important to the people of Arkansas. The bill calls for the replacement of two statues that sit at the Arkansas Capitol. James Clarke and Uriah Milton Rose have statues at the Capitol representing the state for the past hundred years. Clark was our eighteenth governor and Rose was a United States ambassador under President Theodore Roosevelt. Those two statues will be replaced with civil rights icon Daisy Bates and music legend Johnny Cash. In a press conference at the signing, Governor Hutchinson said this was an occasion that deserved celebration. Cash’s daughter, Roseanne Cash, was among the friends and family members present during the signing of the bill. The state will now collect private donations to fund the new statues.